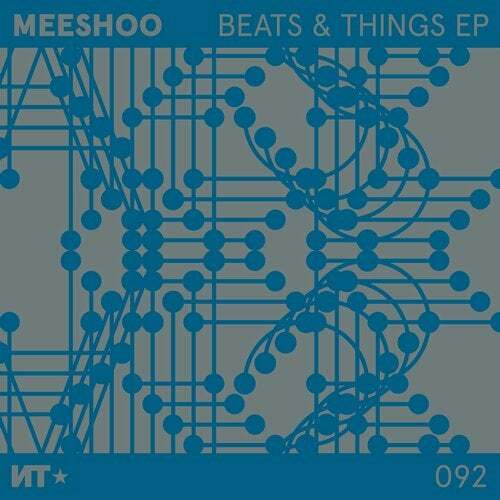 Russian producer Meeshoo joins the Nordic Trax family with an eclectic four-track ep that moves effortlessly between deep, dubby house and banging big room moments. An artist on the rise, in a short period of time he's released projects on Nite Grooves, Salted Music, Nervous and Culprit. Meeshoo is Mikhail Maksimov, a producer from Murmansk in the far North of Russia. A big fan of analogue gear,vintage synths and drum machines, he also combines a love for rare samples found in classic movies & TV in his productions. For the past 10 years he produced under the moniker Mikel Back with vinyl and digital releases on Saasfee (Germany), Modelisme (France) and Trax Magazine (FR) to name a few. In 2016 the latest alias Meeshoo was launched and promptly saw his work released on some of the finest labels around, including King Street Sounds / Nite Grooves, Nervous NYC, Doin' Work, Kolour Recorings, Culprit and Miguel Migs' Salted Music. A diverse range of djs have supported his releases, including the likes of Droog, Jask, Kevin Yost, Grijo, Ramon Tapia and many others. In 2018 he has launched his own label Telekinesis.